"....A dream that swims against the current" TeamWS Blog. 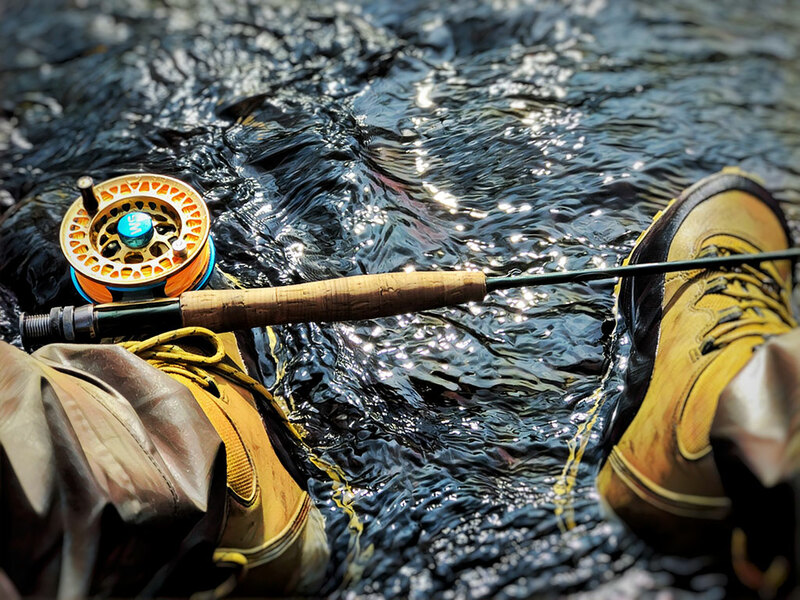 The Atlantic salmon has always had a prominent position in my fishing fantasies, covering perfectly that mysterious and fascinating figure that only such a unique and intriguing fish can have. The distance of its habitat from the world where I grew up, and all those stories and legends about its living and reproduction habits have built a truly intriguing world in my head that only a few species can have around it. When two years ago I decided to seriously start with fly fishing I set as a goal to gradually improve my technical skills by confronting myself with ever more demanding species. I started out, of course, with chubs and trouts, passing through graylings and carps, and then this year I came across two of the most popular predators in the fishing world... Pike and Atlantic Salmon. 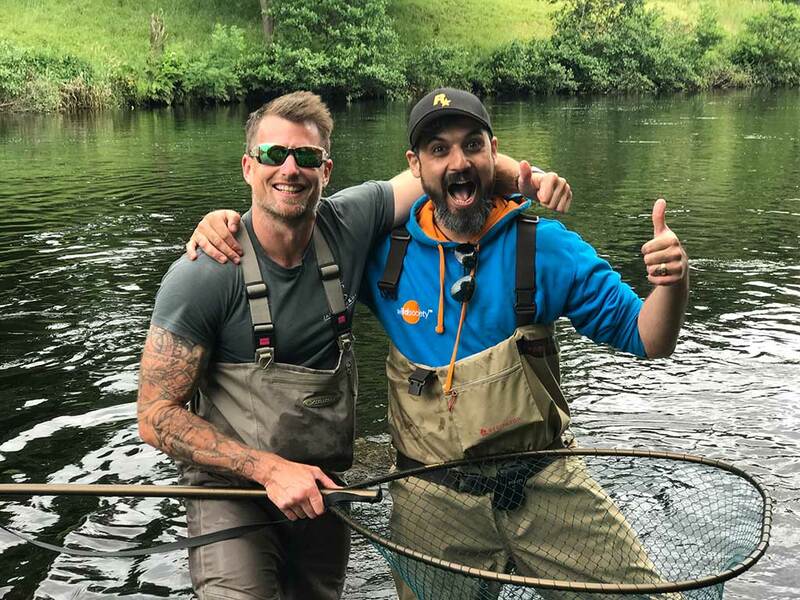 Thanks to Wild Society App, getting in touch with a lot of passionate anglers was easy, and that's how I met James Stokoe, the guide that supported us in this first Salmon fishing weekend on the fantastic River Tyne in Northumberland! 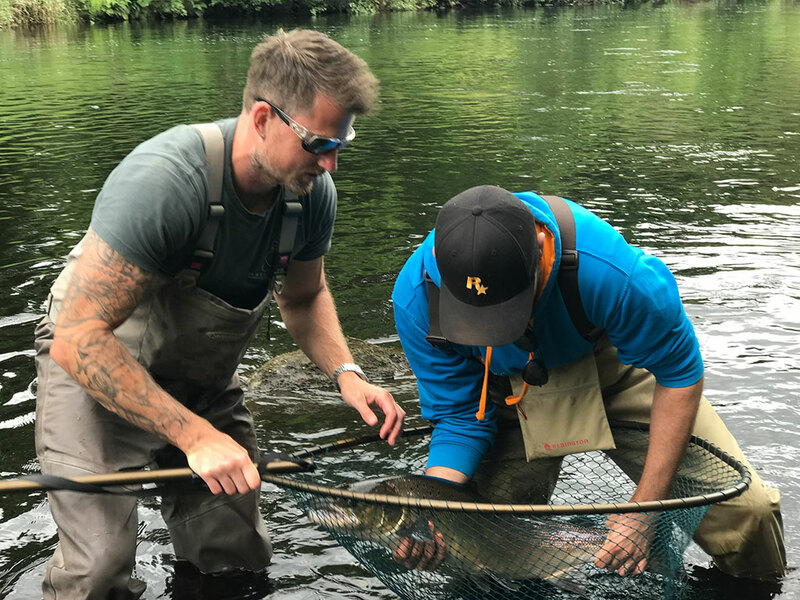 James immediately proved to be very prepared, friendly and full of enthusiasm, he told us a lot of anecdotes about this fantastic river and helped to grow in us the huge desire to catch one of these fish on as soon as possible! 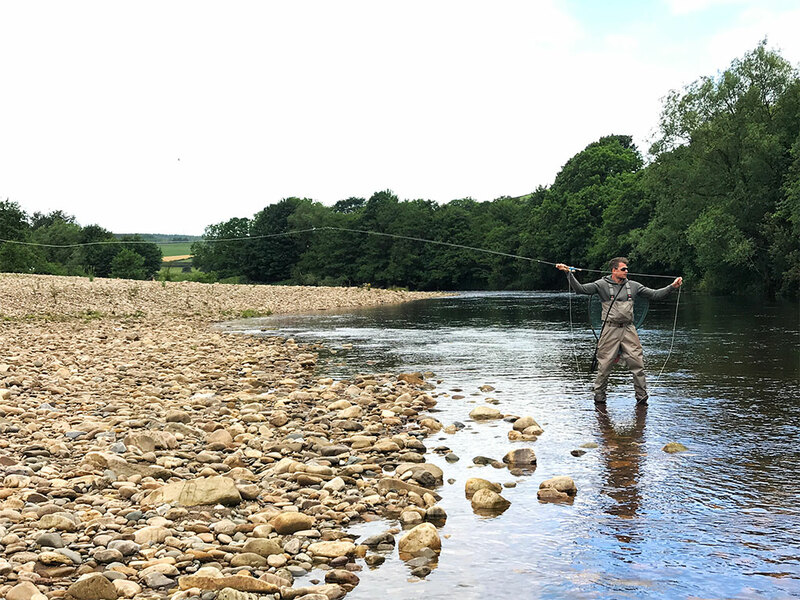 The reality often does not go as planned, and even if we were mentally prepared for a very challenging fishing weekend, we did not consider how much an intimidating and tough to approach river the Tyne could have been. A high level of water, an opposing wind and a strong current accompanied us during the first day, with peaks of enthusiasm and discomfort that followed in the 11-hour fishing session. I had the pleasure to share this first-time adventure with two dear friends, Carlo and Gigi, also members of WS who had more or less the same fishing background as me...we were ready for this appointment, for this fantastic challenge. The first few hours went very fast, and James never dropped the shot, always ready to incite us and advise us...we also wanted to see him fishing and that short show alone was worth the trip.The first day was coming to an end, with a visible tiredness on our faces and an unbelievable desire to keep going. 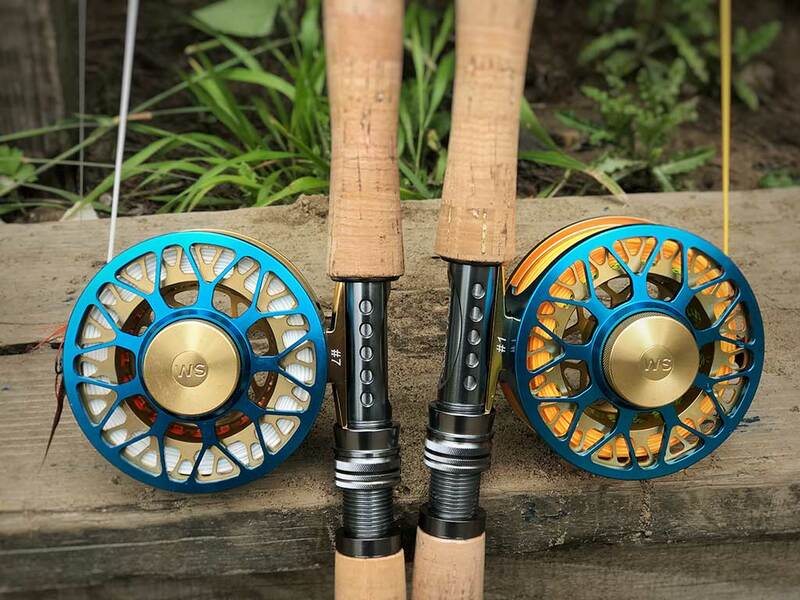 "Wild Soul Fly fishing Reel #5/7"
When you desperately want to succeed is the obstinacy that often makes a difference, and if it comes along with a bit of luck, then this will lead to change the fate of what seemed to be a little defeat at the debut. And so at 8.01pm on the first day, after 12 hours of fishing and after James and Gigi called it at day, I found myself fighting with a very powerful fish that excites me every time it makes a run. Smiling whilst thinking about that amazing salmon that had decided to wait for the famous "last cast" before giving me the greatest joy...Carlo helped me to land it... and here comes the unexpected guest, who no one had ever thought could become the protagonist of our first catch in Tyne...a beautiful, fat, Sea Trout. It was a first time I caught this noble species, which I have always considered unapproachable for its shyness and the distance that separates me from places where this salmonid makes its master. So you can imagine my immense joy in admiring, photographing and releasing that beauty of nature... and all this less than two hours from my home!…Having had Carlo with me at this fantastic moment made me happy, it would not have been the same without him, but despite this immense joy for my capture, which was shared by him too, I had a bit of sadness in not seeing him rewarded in the same way. The second day started with a single idea in mind: we had about 10 hours to catch this migrant fish that in this particular phase of its life cycle has only the sole purpose of reaching the places where it was born to be able to give its contribution to its kind. In the long journey that it does at this stage, for this fantastic fish there is not time to eat but only to breed. Therefore finding an exemplary that was interested in eating our bait was very difficult also because we were relying on just the James’ knowledge of the river and on the chance to be in the right spot at the right time. What a puzzle!! Having the river's waters up to your belly and seeing a 10kg salmon tracing the current pulling the head out of the water 1 meter from you was undoubtedly one of the most intense moments of this mini fishing trip, but also the prelude to the clash that in a few minutes I was going to face. Inexperience, too much confidence in my skills and the fact of being away from the group, did cost me a lot. After a 10-minute fight with this spectacular fish with incredible power (definitely stronger than a pike), I found myself empty-handed after seeing this fish (about 20lb) breaking my fishing line and getting away with my artificial bait inside its mouth. Nothing could have been done by James who, during the fight, approached me to support me. Unfortunately, I believed that the fish was tired enough to be "grabbed" by the tail and when I tried to do it the fish run was fatal... a learned lesson..with Salmons you can't take any chances! I've realised that in life even when you win, you will not be forever a winner, there is always some compromise that in some cases you have to accept and that makes it less complete than what it could be. A journey planned for months, dreaming of the moment I would have held my first salmon in my hand...No, I only had the pleasure of catching the sea trout and guess what? The salmon I have dreamt about a lot, was caught by Carlo!! He caught it after an exciting fight that I was fortunate enough to capture with my camera, and after two days of great dedication, we were enjoying every minute of this outstanding adventure spent together. After seeing this in person, you know what I have to say? I felt so good seeing Carlo catching it....because sharing your hunting or fishing adventures with like-minded people is one of the most beautiful and genuine thing you can experience in life and this is why we've created Wild Society App. Videos from the Live Log created in Wild Society App. Download the App if you enjoy adventures like this one! From this experience I brought back so much: it has introduced me to these extraordinary fishes and their habits previously unknown to me, I got to know a place with breathtaking landscapes and a person full of passion and dedication for his work as James. Gigi and I have a pending account with Mr. Atlantic Salmon and we will come back soon to secure it! Give a James' page a like!